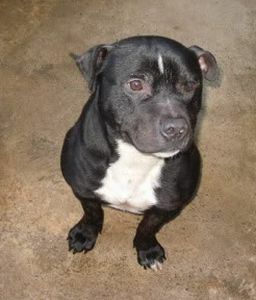 Briggs was another unclaimed stray staffie abandoned, unclaimed and with an uncertain future if he wasn't claimed after 7 days at the pound. No one came for Briggs and he was due to be put to sleep... and we were contacted by volunteers at this particular pound and asked if we could help any of the dogs whose time had run out. Even from his picture taken at the pound you can see what a happy little lad he looks and one deserving of a second chance. 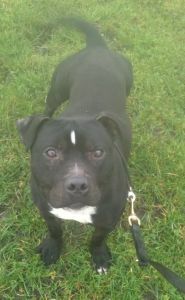 Briggs was brought into our emergency boarding kennels. 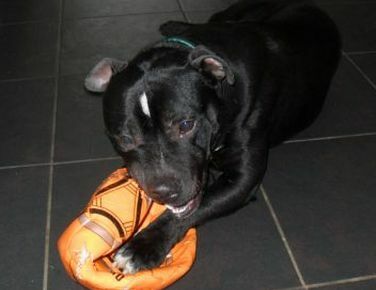 He was a little quiet at first, he probably wondered what was going on in his life... but under the care of our lovely kennels and lots of fuss and walks from our volunteers he started to come out of his shell and discovering a love of footballs! 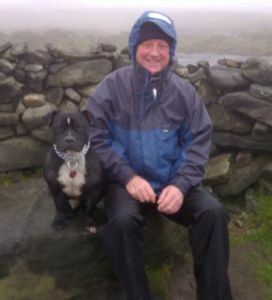 Briggs waited patiently for a rescue space and then after time when we were able to properly assess him, and get him neutered, vaccinated and microchipped a forever home of his own. 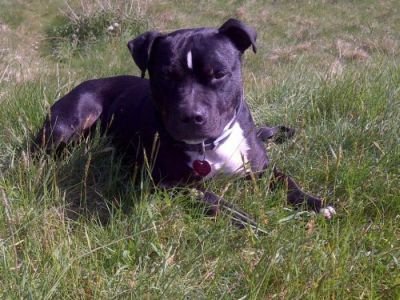 Briggs didn't know it but a family had been told about him and after seeing his picture decided that they would love to offer him a new home. 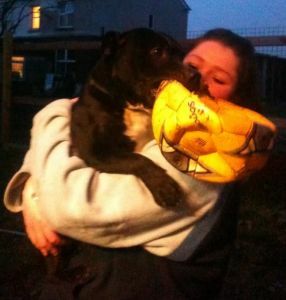 Everything went well with the introductions and Briggs, now known as Gyp went off to his new home ! 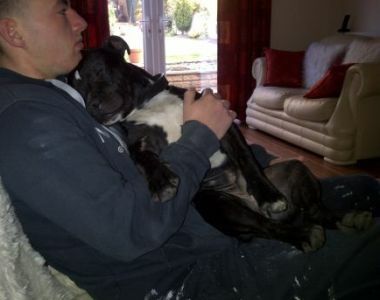 Here are some pictures from his new family - I think he has settled in well!! What a lovely ending we wish them many more years of happiness together!